It will be a first in Woodhall Spa over the May bank holiday weekend, as a home and gardens festival will be held in the village. A wealth of plant traders, home and garden product suppliers, and craft and market stalls will open for business from Friday, May 4, to Monday, May 8. The Home and Garden Festival will be held in Jubilee Park over the May Day Bank Holiday weekend, which is one of the biggest weekends of the year in the garden and home calendar. 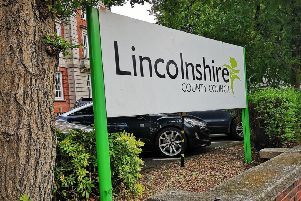 Organisers are keen that Lincolnshire should show off the best it has to offer at the event which has attracted traders from across the UK but are particularly keen to attract Lincolnshire growers and garden companies who want the opportunity to attend the specialist garden event. Event organiser Conrad Murray, of Good Local Events, said: “The May weekend will be the time to shake off the dreariness of a long wet spring and get into the garden - and our exhibitors provide everything you need to do it. Keen gardeners and house proud families attending the free event will also get to choose from a wide range of garden plants and garden supplies, potted plants and accessories and sundries, mowers and equipment as well as garden leisure goods such as hot tubs and barbecues. An international food and craft market will also run alongside the event and Jubilee Park - with its open air swimming pool and leisure and sports facilities and campsite - will all be open to the public. Mr Murray said: “Traders are busy planning special show offers which will provide the public with garden bargains and enable traders to steal a march on their competitors. “The park will be busy anyway with pool users and caravanners so it is a perfect opportunity for buyers and sellers to connect. The Food and Garden Festival is the first for Woodhall Spa, but organisers are already planning a second event for the second May Bank Holiday which will take place in Lincoln. • This is a great opportunity for gardeners to buy and traders to sell on two of the best gardening and leisure and spring shopping weekends on the calendar. The Home and Garden Festival at Jubilee Park, Woodhall Spa will open from Friday, May 4 to Monday, May 8, between 10am and 6pm daily.